The Nedbank Cup round of 16 draw will be conducted LIVE on Thursday night, 31 January 2019 at 19h00. 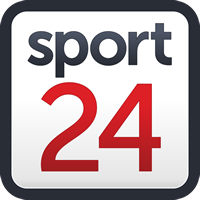 The draw will be on SuperSport 4. PSL’s Luxolo September will be the draw master assisted by Professor Ronnie Schloss and Nedbank’s Buli Mbha. After Wednesday night’s fixtures, all the 16 clubs that have qualified for the round of 16 have been confirmed. So far, the Nedbank Cup has lived up to its reputation with some major upsets over the last couple of days. The first upset happened on day one of the competition when Tshakhuma FC outfoxed Polokwane City in the Limpopo Derby in Polokwane. Seven of the 16 clubs that have qualified are from the National First Division. They are Cape Umoya, Jomo Cosmos, Mbombela United, TS Galaxy, Tshakhuma FC, Richards Bay and Witbank Spurs. Jomo Cosmos knocked out Baroka FC on Tuesday night. Cape Town-based The Magic FC, from the ABC Motsepe League, is the only remaining club from the amateur structures after they eliminated Maccabi FC last night. - This process will be repeated until all fixtures are finalized.